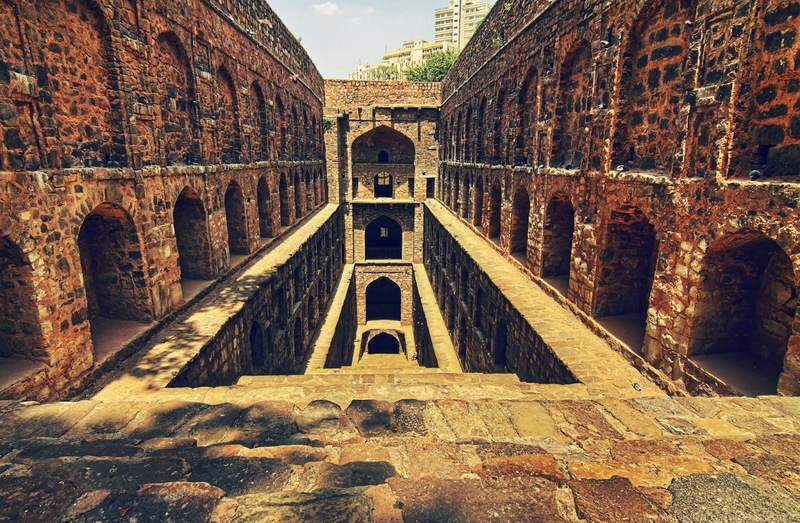 In ancient India step wells (Baoli) were built to store rain water from the torrential seasonal monsoons. Step wells can be seen in parts of the country where water was scarce and normal wells would dry up fast. What separates the step well from tanks and other water holding structures are the steps leading up to the base of the well, the steps are used to access the low ground water during the dry season.To build step wells deep trenches were dug up and they lined the walls with stone and created steps leading up to the base of the well. 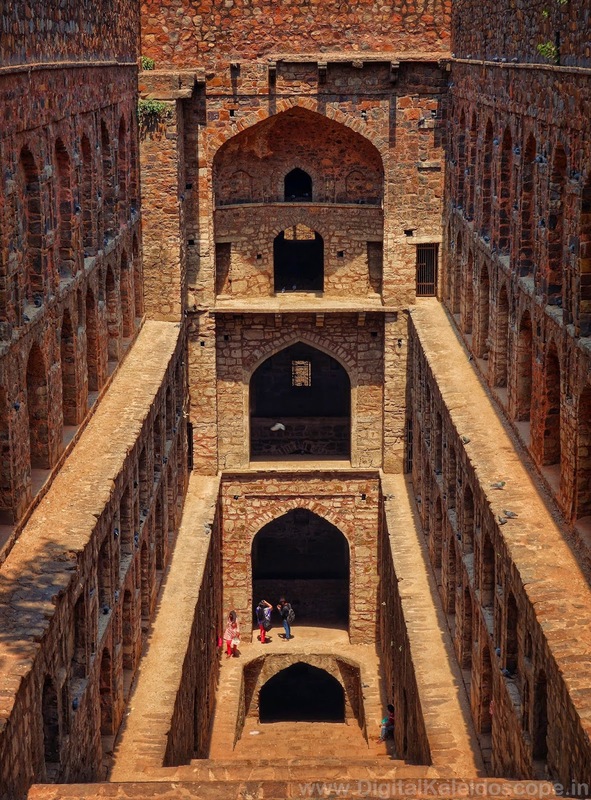 Agrasen Ki Baoli is a step well in New Delhi built by King Agrasen in the 14th century. The well is located in the heart of the city close to Connaught place surrounded by urban buildings. The main feature of the well is the 104 steps leading to the base of the well, the steps are flanked on both sides with a series of carved chambers and passages. Bats and pigeons have made their homes in the nooks and cracks of this magnificent structure. The well is open to visitors every day of the week and there is no entry fee or camera fee . 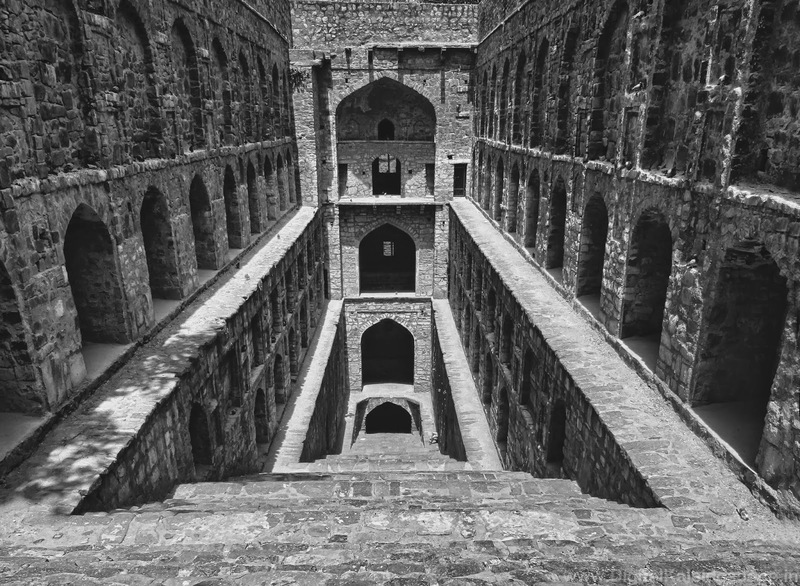 Some say the well is haunted and there are articles on-line that claim Agrasen Ki Baoli is one of the most haunted places in Delhi.